CLARK COUNTY — The Clark County Sheriff’s Office is looking for a forever home. Or at least a space they can call their own. Until last year, the department’s central precinct was housed in an old 1970’s office building in Brush Prairie. It was closed after the department determined maintaining the building wasn’t in their budget. 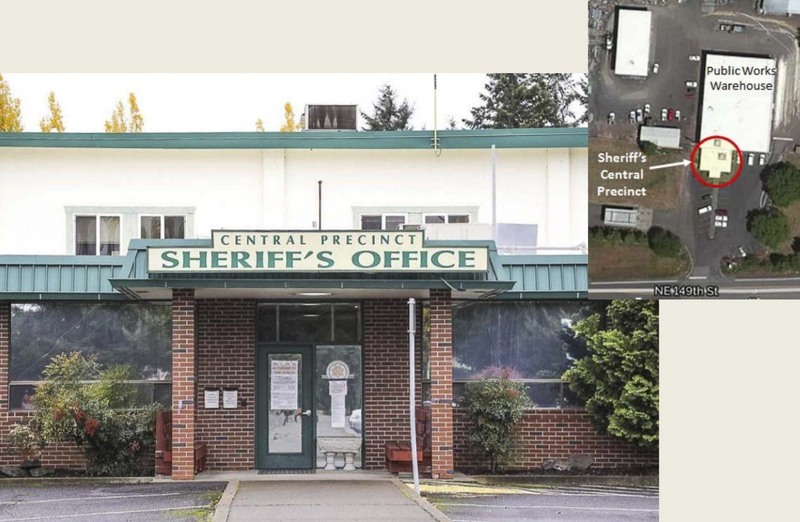 After that building was closed, departments were divided between space at the jail in downtown Vancouver, and the west precinct, which shares space with three fire districts in a building near the Clark County Fairgrounds. Chapman says they’ve been able to use one parking bay for some equipment, but a lot of gear is still left in outside lots scattered around the county. To do that, the sheriff’s office says it needs a brand new building, ideally in the central part of the county. Right now they’re eyeing spaces along SR-503, just south of the city of Battle Ground. Chapman says that location should be able to fulfill their needs for at least the next thirty years. But it’s also likely to cost tens of millions of dollars the county doesn’t currently have. 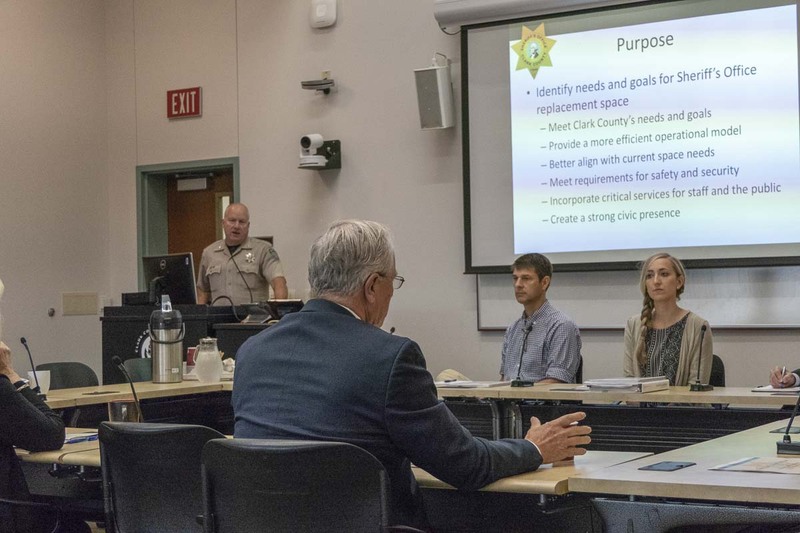 The sheriff’s office did get funding to hire architectural and design firm Mackenzie for $22,000 to put together three options for the county to consider. Option A would be a 45,550 square foot building on 2.7 acres. It would house a community room, classroom, patrol operations, special events, investigations, special operations and support functions, and cost an estimated $31 million. Option B would need 64,758 square feet and 3.1 acres. It would add a sheriff headquarters and administration, information technology, human resources, finance, risk management and records, along with an additional $12 million to the price tag. Option C would top out at around $57 million dollars, require over 104,000 square feet and 4.3 acres, but add room for all sheriff’s office operations, outside of the jail, including their logistics and evidence personnel. None of the building estimates included the cost of land acquisition. Also adding to the cost is the fact this new building would be considered an “essential” structure. Humphreys told the council the Essential designation adds about 10 percent to the cost of the structure over a similarly-sized commercial building, but would increase the strength of the building by about 1.5 times. A county commission is currently doing a deep dive into the future of the jail building, which is considered overcrowded and obsolete. By the end of the year that commission is expected to recommend referring a bond to the voters to help pay for the updated jail. County chair Marc Boldt said it’s possible the cost of a new central precinct could be added to that bond. 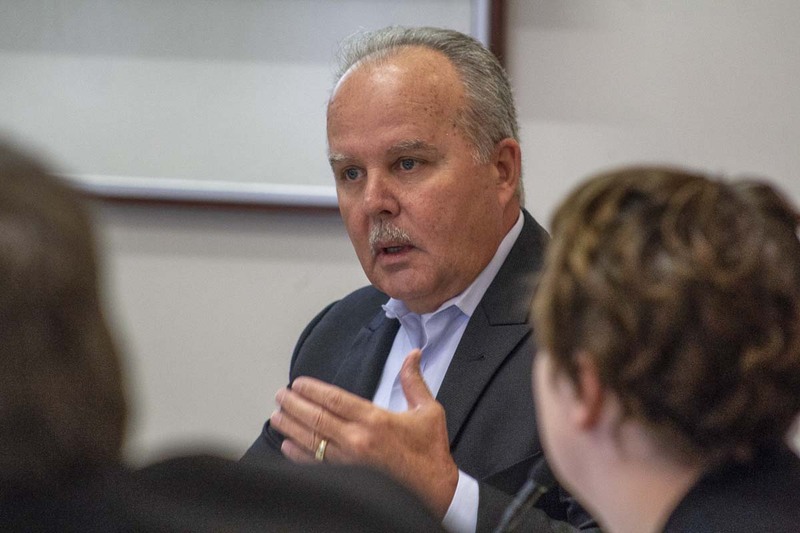 Clark County Sheriff Chuck Atkins admitted that whatever the jail committee ultimately proposes will likely have an impact on how they move forward with the central precinct proposal.